Dr. Himmelberger, a 2016 & 2017 Top General Dentist in Devon, PA, is committed to providing you the best dental services possible. When you visit the office, your dental health is the top priority. Our team is dedicated to providing you with the personalized, gentle care that you deserve. Part of our commitment to serving our patients includes providing information that helps them make more informed decisions about their oral health needs, and always being available in case of an emergency. We provide a flexible schedule for our patients to accommodate your schedule. You can schedule early morning appointments and we are open on Saturdays! We encourage you to visit our patient education videos, which offer valuable information on dental procedures and treatment options. Don't forget to visit our links page, which provides information and tools on keeping your dental health in the best condition possible. We hope this website is a resource you’ll find both useful and interesting! Our Patient Education Center is waiting for you! Learn the countless ways you can keep your mouth healthy and pristine by visiting our PatientSmart page. April is Oral Cancer Awareness Month! Have you seen your dentist recently for a check up? Learn more about the risk factors for oral cancer. Don't forget to "brush' up on your brushing techniques! 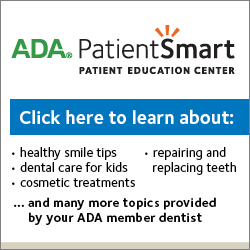 Let PatientSmart answer your brushing questions here. Do you know what a true dental emergency is? Know Your Teeth can help recognize symptoms and give advice if you think you're experiencing a dental emergency. 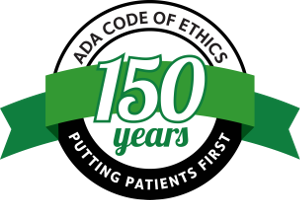 The ADA celebrated 150 years of putting patients first in 2016! To stay up-to-date with all ADA news, read the latest issues of ADANews! Read it here. Call (610) 688-2211 to make an appointment today. Please give us a call at (610) 688-2211 if you have any questions or would like to schedule an appointment. Devon, Pennsylvania Dentist, Dr. Himmelberger is dedicated to cosmetic dentistry such as Exams, Teeth Whitening, Veneers and more.